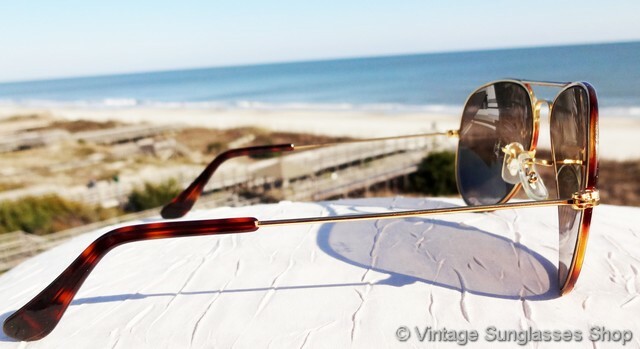 1 Vintage Ray-Ban L1706 Tortuga Changeables sunglasses feature the beautiful Bausch & Lomb Tortuga frame with alternating shades of burgundy and gold that give you the look of tortoise shell in gold plating which equals lots of extra design flair compared with standard gold plated Ray-Ban aviators. 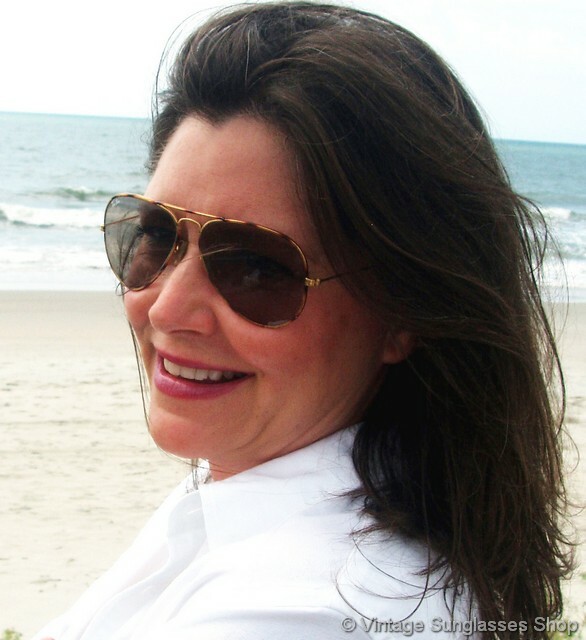 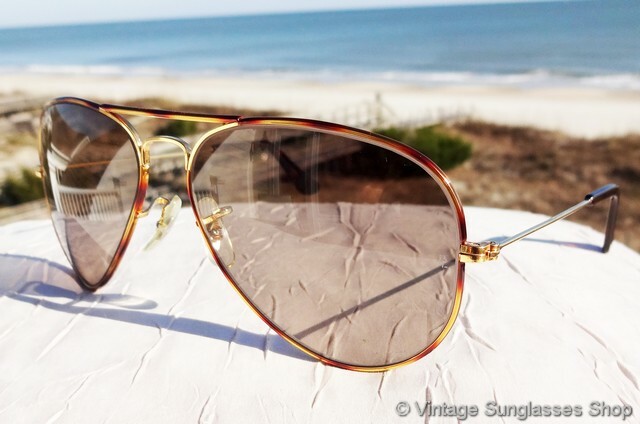 These B&L Ray-Ban Tortuga aviators also feature 58mm Bausch & Lomb Changeables lenses which look great with the Tortuga frame, an innovative photochromatic lens that will darken considerably in sunlight but appears light brown indoors so the sunglasses adjust to different light conditions can be worn comfortably inside or outside. 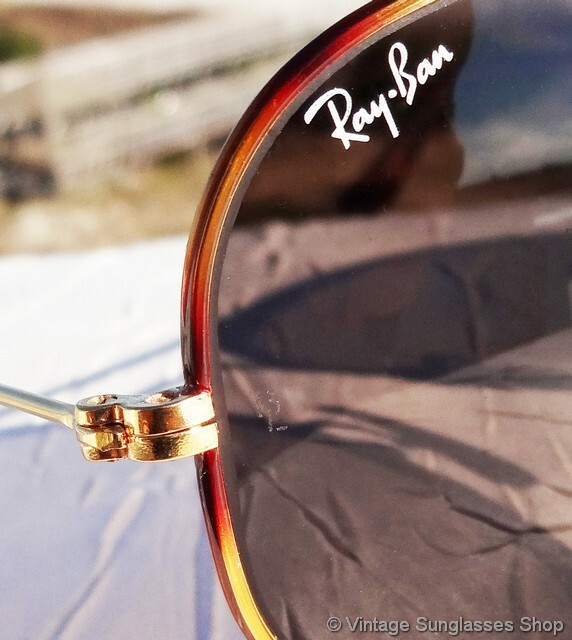 These photochromatic properties are infused into the glass, not a coating that will wear out or wear off. 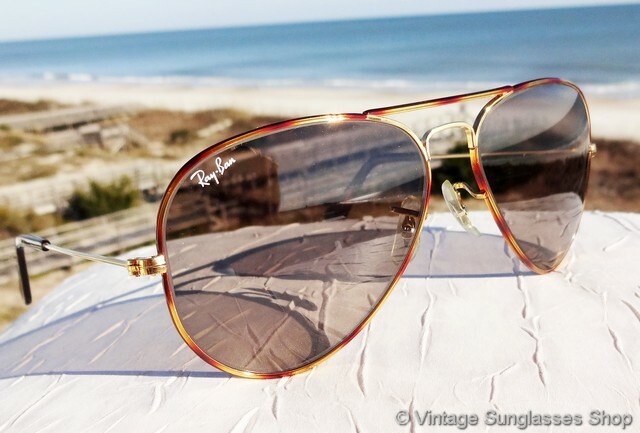 Both lenses are laser etched BL near the hinge points, and the right lens is laser etched with the Ray-Ban logo in script. 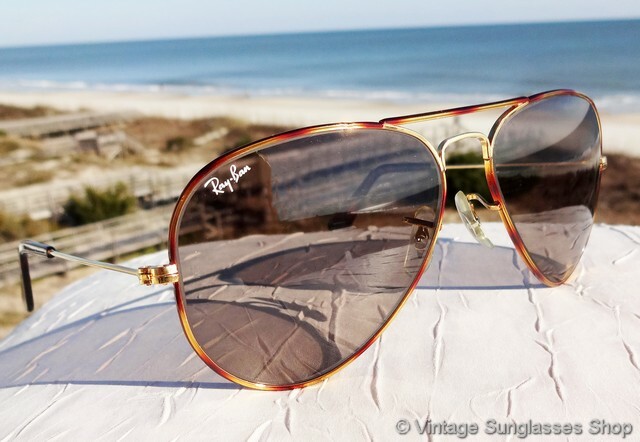 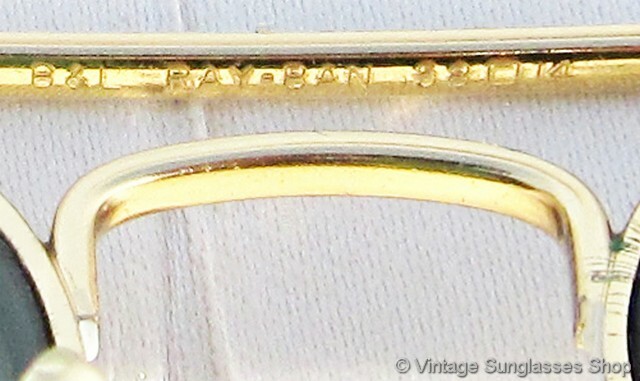 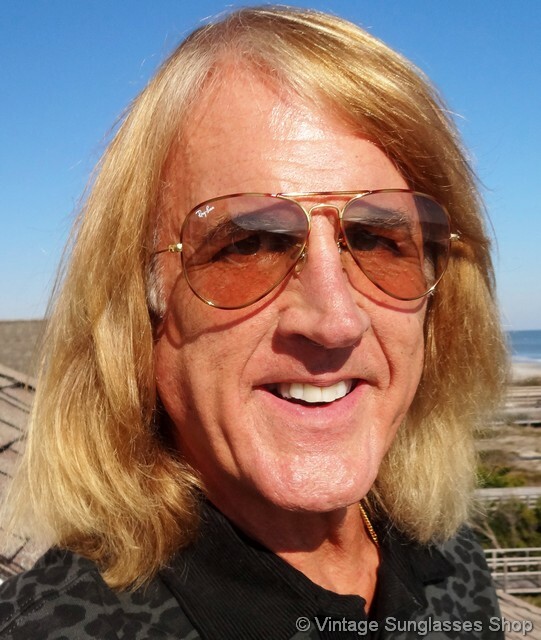 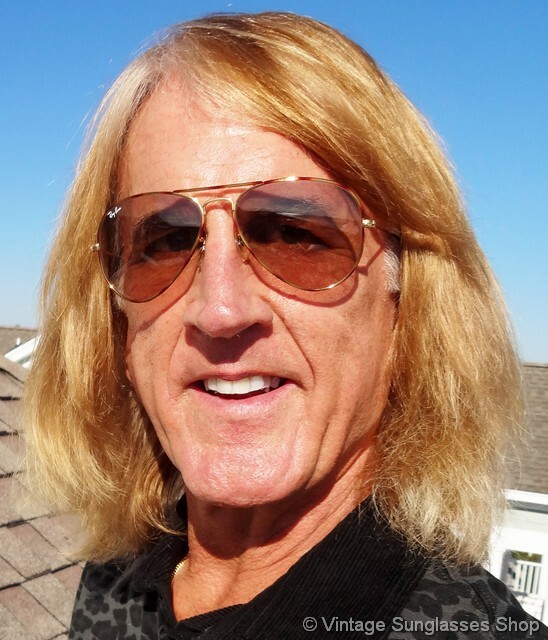 The top bar of the nose bridge is impressed B&L Ray-Ban USA while the bottom of the bridge is impressed B&L Ray-Ban 58  14, a great variation of iconic Ray-Ban aviator sunglasses direct from a Santa Monica, CA estate collection. 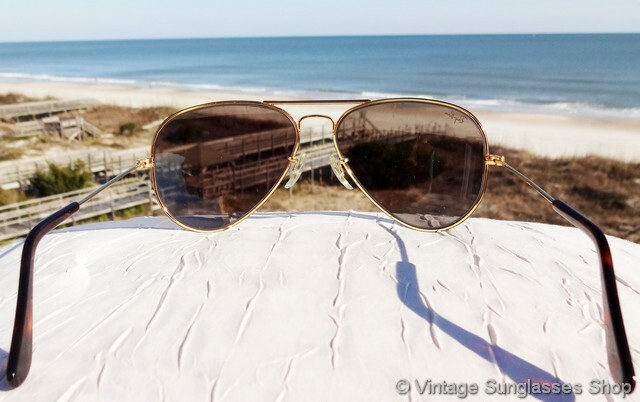 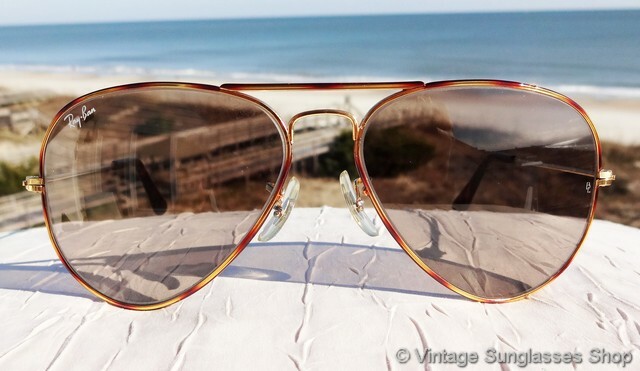 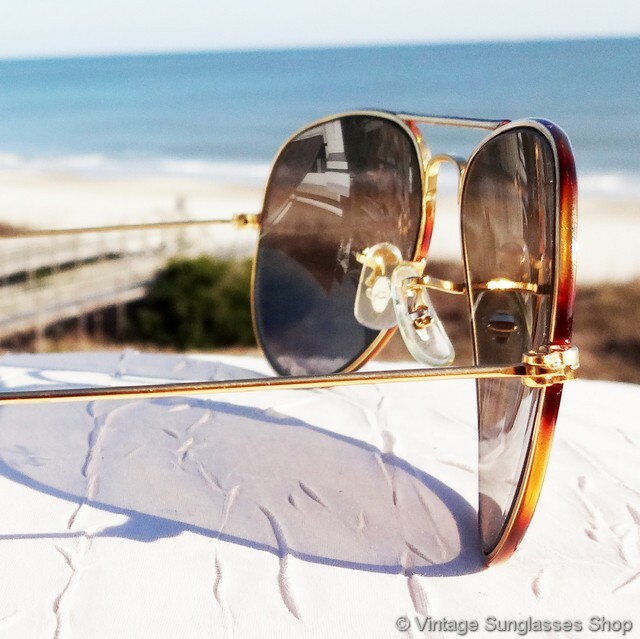 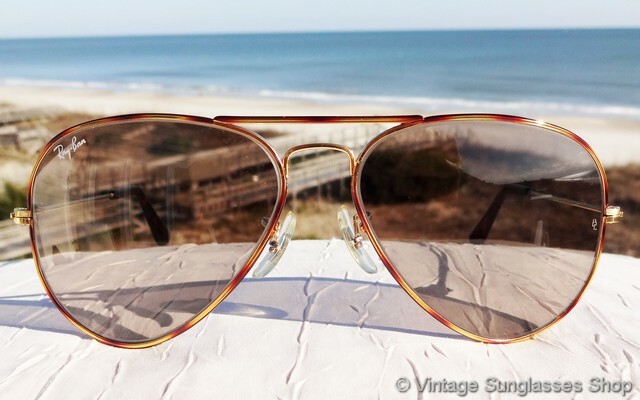 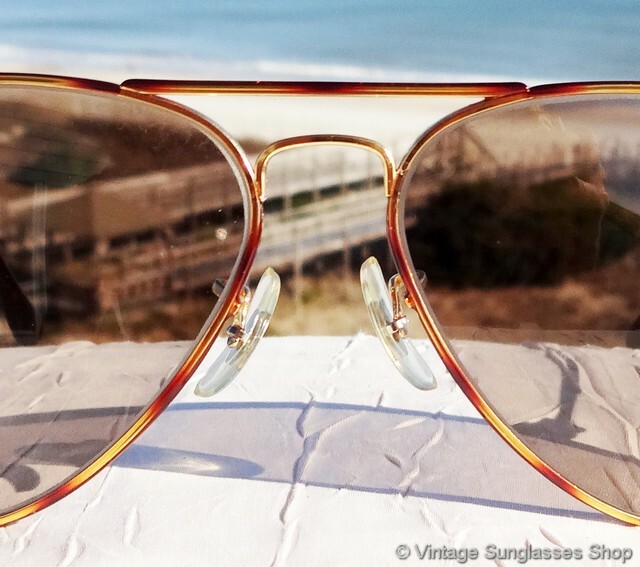 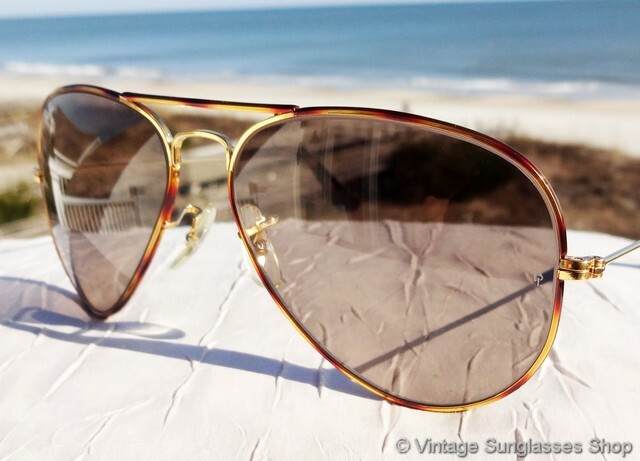 2 Step up another level beyond our already unequaled vintage condition standards with new old stock Ray-Ban L1706 Tortuga Changeables sunglasses in mint, unworn condition.